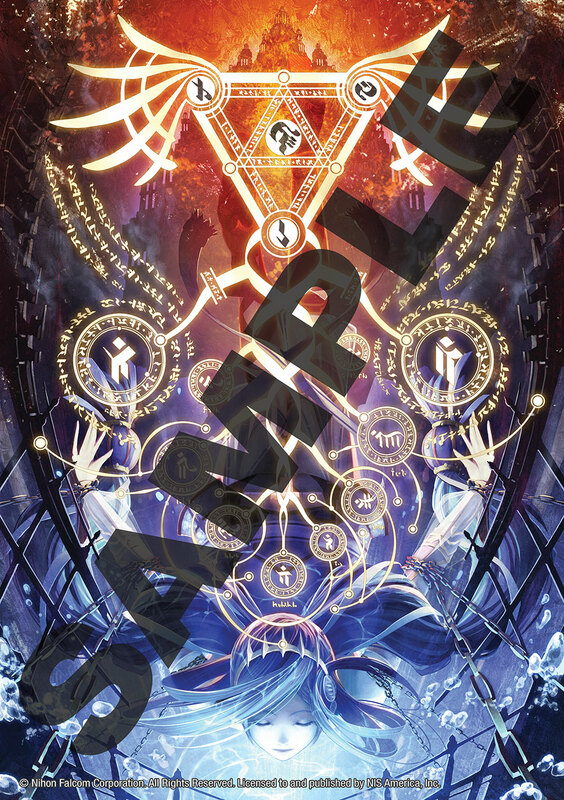 Join Dana as she dives into the depths of destiny to face an unknown past and uncertain future.These gorgeous pieces of art are manufactured in the United States by the same production company responsible for our Disgaea Giclee prints. Every Giclee print is enhanced by the expert hands of professional artists at our production studio. These enhancements add texture and depth to the already beautiful Giclee prints. A unique number will appear on every print. Each print is carefully packaged and shipped directly from the studio. • Dimensions: (W) 19 in. x (H) 27.5 in. This product may take up to 2 additional weeks to ship, as it is made to order. Any additional items ordered with this product will be shipped separately. Giclees are made to order, and are not eligible for returns or exchanges. Join Dana as she dives into the depths of destiny to face an unknown past and uncertain future. These gorgeous pieces of art are manufactured in the United States by the same production company responsible for our Disgaea Giclee prints.